Pretty pastels – just perfect! The 3-tiered Pastel Flower Cake – from £120. 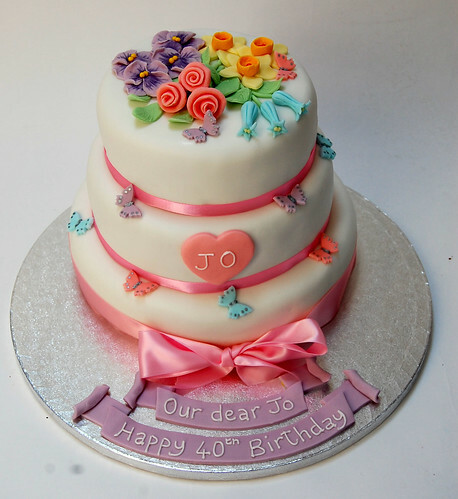 Just wanted to let you know what a great success the cake you made for my wife Jo’s 40th birthday was. My wife was completely thrilled! All the family thought the cake was beautiful.